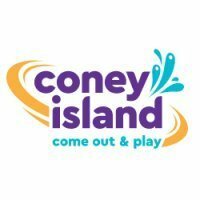 Does anyone know of a coaster called The Tickler ever existing at Coney? I found this image online last night but the only reference I can find to a ride/coaster named Tickler in this area is one that was at Chester Park. I've been watching that develop in that old photos of Cincinnati Facebook page. The Chester Park Tickler doesn't appear to have been a traditional coaster. Curious, indeed. There is a Tickler at Coney Island NY, but it isn't wooden. Possibly the name hearkens back to an earlier one? Imagine riding that today..., a LOT of safety procedures would have to be fixed, still looks like a fun ride though. I've always loved the "Not as rough as last year" sign on that Tickler photo. The sad thing is there's very little in that area that would indicate there was an amusement park there. Just the "Chester Park campus" for Cincinnati Water Works and a small side street called Chester Avenue. I can only imagine what that area would be like today if Chester Park had survived - especially with I-75 being so close. I was just looking at the postcard again. Anyone know what the "No. 76" at the end of the text might be referencing? Number 76 of what? Parks, coasters, address, phone number, post card in the series? It likely is a reference to the number the post card was in the series. Or an olde version of a stock keeping unit. That is because the image is likely not from Coney Island. If you take a look at http://rockpointpark.com/ you will see the same image except saying it is from Rock Point Park. If you click on postcards at the top of the page it says that the image is likely a combination of multiple images. Which on that postcard page you can see the next picture looks like the white coaster in the background. I am pretty confident it is not from Cincinnati beyond that I am not certain. The only thing left is a plaque in the Business Office of the Cincinnati Water Works. Which is ironic, because the reason they closed is that the didn't pay their water bill . I was surprised it didn't survive because they had better public transportation than Coney. Tried to watch the video, just say's it doesn't exist.